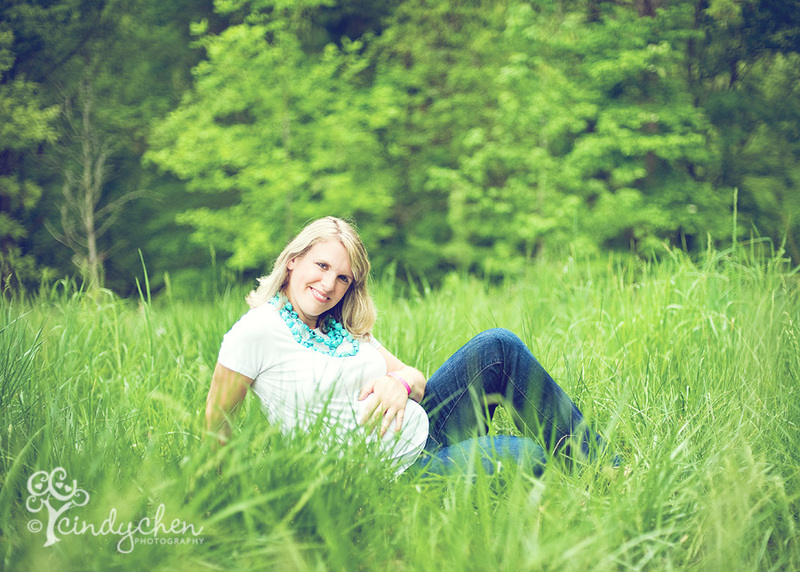 The beautiful mama-to-be is my wonderful friend Carolyn (who also happens to be an amazing children’s portrait photographer in the Cincinnati area). I am so happy that I had the opportunity to photograph her and her growing belly. She is expecting her third baby… and third girl in August! I totally see her as a mommy to three girls, wearing the cutest clothes and accessories to match, playing dress up and having fairy tea parties. I just love how radiant and glowing Carolyn is in these images. Pregnancy definitely suits her well, but the truth is, she’s just radiant and glowing – period. She has a beautiful heart and an amazing smile that matches it. The light was amazing in this spot. Thank you Carolyn for the wonderful session. I’m so happy and excited for you and am so glad to capture this amazing time in your life for you! I LOVE these Cindy! Thank you so much for working on them. What an extra special gift. You are amazing at what you do and I m so blessed to have been photographed by you. Thank you, thank you!!! You two are so lucky to have each other to bounce photog stuff off with each other. It’s always nice to have a photog friend take pics for you. Too bad she’s too far for the newborn shoot huh? Beautiful shoot. beautiful lighting, cindy! please tell me where this location is? Beautiful work Cindy! And beautiful mommy-to-be too! Oh these are just gorgeous!!!!!!!! I was gonna say..”Cindy you must share your location”…but then it hit me….this is probably a little too far!! Great work my friend!!! These are so beautiful Cindy! You’re right – Carolyn just has this radiance about her. You’re just glowing, Carolyn! Love your light.